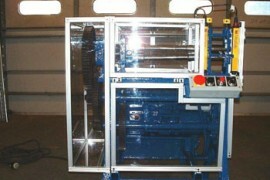 Machine Safe-Guarding – StampTech Inc.
StampTech is the one-stop source for your entire machine guarding needs. 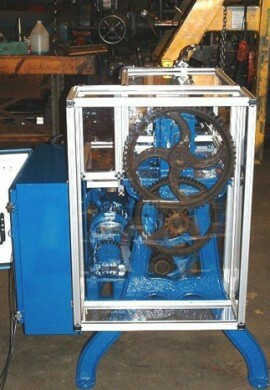 Our factory trained service technicians can create custom safe-guarding in your shop for all aspects of manufacturing. 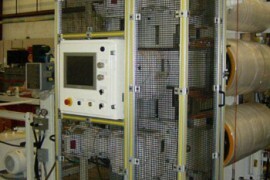 Some of our machine guard solutions use presence sensing devices, such as light curtains. All of our safe-guarding products are constructed of high-quality materials including extruded aluminum, LEXAN (a bulletproof material) and wire mesh inserts to make all machinery OSHA compliant. Our safety engineers will survey your equipment at no charge — and, provide a detailed proposal outlining what is required to get your machinery into compliance. 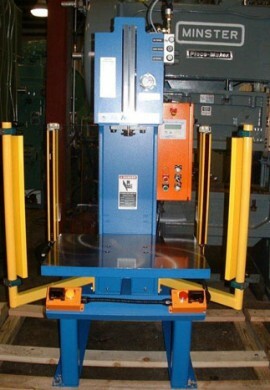 StampTech has safeguarded machinery for over 25 years. Each of our factory-trained service engineers keep current with the latest laws and regulations set by OSHA. We’re serious about machine guarding and your satisfaction. After a machine is surveyed — we’ll provide drawings for your approval — before a guard is supplied. No one wants, or can afford, an accident. At StampTech our specialists handle your machine guarding requirements from start to finish. All of our work is documented and recorded and we will conduct yearly inspections on machines for year-to-year comparisons.